My IELTS Speaking Test is tomorrow – Can you help me TODAY? This is a cry that I get often. I really don’t understand why people leave it so late. Going over the exam procedure, making sure that you know what to do and when things are happening, checking the times etc.. is one thing you should do the night before, but trying to address the whole speaking test the night before or even in the days before the exam begs the question – should you even be doing the exam? In actual fact my advice to students the night before their exam is (when they have checked the points mentioned above) to relax, watch a movie, read a book or magazine (in English) and go to bed early! Frankly I would not be prepared to give this kind of last-minute coaching for two reasons. Firstly it wouldn’t be helpful and I don’t want anybody investing their time and money in something that isn’t going to help them to succeed and secondly, I have a feeling that if the result wasn’t the one wanted then I’d probably get the blame! So, my BIG message to all IELTS students in this post is please, please don’t leave things to the last-minute. If you take a driving test do you get into the car the day before for the first time? Language is a skill the more you practice the better you get generally. Speaking is the most fundamental part of a language and you just need to find opportunities to practice. If you can’t speak well how on earth will you manage in your new country, your new job, or your new study? That’s what the IELTS is testing! Do you have the right level of English to succeed in the venture that you are embarking upon? Your approach to preparation in the IELTS tells me a lot about how you will succeed. I meet students who are organised, who have a plan and who create a process for their learning and their preparation. They balance their general English practice with their IELTS test practice and know that it is impossible to get a good band without both. They are usually successful. I also meet students who keep on just ‘having a go’. This approach to the IELTS exam is VERY EXPENSIVE and will not guarantee you success. If you do not get exposure to English except via the Cambridge practice tests then getting a high band score is going to take a VERY long time and in some cases where a student’s English is not of a high level it will be impossible. There are no short cuts. Either you have the language or not and no amount of IELTS practice can make up for a lack of good English language skills just as really great language may still not get you your score if you don’t prepare well for the exam itself. So, particularly in the speaking, make sure you give yourself the best chance and start to practice as soon as you can and way before you go into the exam. When it comes to speaking there is no substitute for actually doing it, getting out into the world and creating opportunities to use English with other people. These don’t have to be English native speakers – you can practice with other people who speak well or with other IELTS candidates who are looking for the same band score as you. Yesterday I was speaking to Zakir from Pakistan. He is taking his test this week and he told me how in the last test he only scored a low score but wanted to get a 6 or 6.5 this time. His strategy for improving his score is to speak every day with a friend who is about the same level and they go through the test pretending one of them is the examiner and the other the IELTS candidate. They choose lots of topics and ask and answer the questions as if it were the real exam. They also take some time to chat as well. I was amazed at his level of fluency and confidence through using this simple technique to improve his speaking. If you don’t have the chance to speak to a teacher, join a class or converse with English speakers then a simple arrangement like this will really help you to get some fluency and use your English. On my Gapfillers site I encourage members to find speaking buddies – other members who are on the same IELTS journey who they can connect with on Skype in order to practise the speaking. I also run speaking workshops where we practise the test and talk about how to approach the speaking using practice exercises to improve performance. The speaking may only be a short part of the test but I really feel that it is one in which you can have a lot of influence over your score so it’s really worth making that extra effort to make it good! Finally, look at the video at the top of this post. There is a question at the very end. Make sure that YOUR answer is YES! It is very important to bear this in mind when preparing for the exam. This is one of your chances in the IELTS exam to take control (the other being in the speaking) and demonstrate your great ability in English and to write good English so don’t waste it! Make sure that you give a lot of preparation time to this and, if possible, get a teacher to help you especially if you are looking at bands 7 and 8. The teacher will not only mark your essays but will also help you to improve it by showing you how to develop your writing to ensure that you get the band you want. 2. The key to IELTS writing is effective preparation and practice. I know that many IELTS students work VERY hard on their IELTS but I have also met many who, despite this hard work have not been able to achieve their goal. Your practice has to be effective to work for YOU. If you need to get band 7 you HAVE to understand what a band 7 essay looks like, what it contains and how it feels to write one. You need to know this in your muscle! To do this you need to produce one and this may take 2 or 3 hours but it doesn’t matter, once you have it then you will not go back to your old way of writing again. Less is more with writing – quantity does NOT necessarily produce quality. It is better to work for a long time on ONE essay than produce 4 at once. If you have an IELTS teacher or coach then they will tell you when you have managed to get your band 7 essay down. If not then you will have to rely on models. Model essays are YOUR key to great writing and don’t rely simply on the good essays of your friends, they will have mistakes. Look at what you are reading for the IELTS reading – here are great models! You can find model essays for IELTS everywhere; study them and really go deep and find out what a band 7 truly is! Don’t try to second-guess what the examiner is looking for. Your job in the writing is to say “Look at my great writing ability at band 7. See how I have managed to express this topic really well and given you lots of good language to assess” it isn’t to think “I wonder what the examiner would like to see in this paragraph”. The exam is not about the examiner, it’s about you. I can tell you that all examiners want you to do well. I know this because I have been an examiner myself and I really wanted every essay to be good and to get whatever band the candidate required. It’s sad when you see essays that have lots of silly mistakes, or weren’t planned properly or are too short or aren’t finished. Sometimes you can see that the person really has ability but they haven’t demonstrated it. See the exam as an opportunity to demonstrate your great English rather than a ‘test’ and you’ll be much more confident. 3. Please Plan, don’t just dive in! “There isn’t enough time to plan” I hear this all the time, yet planning well actually ‘saves’ you time! With a good plan the essay almost writes itself leaving you to concentrate on the language you are using. Without a plan you are trying not only to make sure you use good English, the right vocabulary, great structure and not too many mistakes, but also the ideas you want to express as well, all as you go along and all in about 20 or 30 minutes – that’s a lot to ask!! A good plan will give direction to your essay and state the points you want to make leaving you to concentrate on the language you are using to express these ideas on paper. When I was learning French at school a teacher told me “If you don’t know it don’t use it!” This is very good advice – translating from your own language most often fails and you will end up with English which can at best sound ‘odd’ and at worst be gibberish thus losing you many marks in the process. If the idea in your head is only in your own language and you don’t know the word or expression in English then either come up with another idea or think of words you DO know that you can use to express this. I understand that you can express things in a very erudite and confident way in your own language and that you want to come across in your writing as an educated and knowledgable person BUT look at point 1 here – it’s your ability in English that is the most important thing in this exam NOT your knowledge! In fact, if you can train yourself to think in English then your chances of producing great writing are better. The way to do this is to immerse yourself as much as possible in English as you prepare for the exam. Read newspapers, journals, books. Listen to radio programmes, watch films and documentaries. Develop a deep and meaningful relationship with English and great things will start to happen. Firstly you will learn a lot of things using English as a vehicle and secondly you will begin to absorb the language naturally as your exposure to it increases and soon you will be thinking about ideas and topics straight into English and NOT via your own language. Wow, this sounds like a lot of work and IELTS preparation on top too! Well, yes it is a lot of work but isn’t it worth it to get what you need? Why are you taking the IELTS anyway? Isn’t it to get you somewhere where you will be working or studying in ENGLISH every day? IELTS is simply your gateway, once you arrive at your destination you are going to need FAR MORE English than the IELTS needs so get started in this way and ‘kill two birds with one stone’. In order to produce a wonderful piece of writing you need to experiment a little. 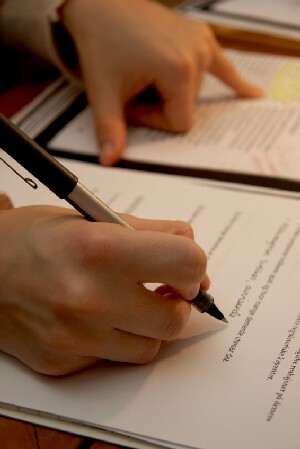 All writers create several drafts of their work before they publish. This blog post has taken me quite a long time to produce as I have been revising and adding things. Obviously in the exam you have only one chance but if your preparation has really prepared you for that one chance then you’ll have no problem. On the day of your test you should know how you are going to tackle the questions, whatever they are – there shouldn’t be any nasty surprises! The time for experimenting is in your preparation time and to get a good band you really should,try and do this. From your reading and studying of model essays and other texts you will find a host of new vocabulary and sentence types. You should choose the ones that you like or the ones that impress you and use them in your own writing. Be creative, test things see how they fit, see what the result is and then ask someone to check and see if they have worked. Questions I always ask my students when they give me writing to check is ‘Are you writing in the same way as you did before?’ and ‘Has the way you approach your writing changed?’ I always expect the answer ‘yes’. There wouldn’t be any point in working with me and then doing the same old things. I am always pleased with the ‘yes’ answer because it shows me that their work is growing and developing and getting better and that’s what should happen. I also love it when students try things new, even if they don’t work – you have to fail to grow and when better to do this than with a supportive and experienced person to help you to use these words and phrases in the correct way. Many IELTS students I meet are worried about getting their writing tasks done in the time allowed (1 hour) and spend much of their preparation time racing against the clock, doing essay after essay as fast as possible. This is putting the cart before the horse! My daughter learns the piano and her teacher keeps telling her to get it right first and then speed up. This is my advice for you also. Once you know exactly what you are doing you can easily get this done in the time and even faster leaving you extra time to check. This is what you are aiming for. So make sure you start with the content and quality of your writing and don’t worry about the time – that will come when you are ready with your perfect band 7 essay every time! Writing is the part of the exam that most people struggle with but with some disciplined and effective practice it will soon become a joy to you to write these tasks and when you are looking forward to it then you have achieved what you need. 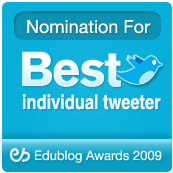 25th Edition of EFL/ESL/ELL Blog Carnival – November 2011. 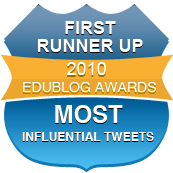 I am thrilled to be holding the 25th EFL/ESL/ELL Blog Carnival here this month (November 2011). I have received so many fantastic entries that it really is an amazing feast of great, great posts! 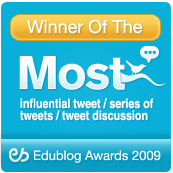 I asked people to search through their archives, dust off the post that got the most visitors, comments, retweets and show us what EFL/ESL/ELL blog readers are most looking for! As teachers we don’t often get a chance to ‘show off’ or ‘brag’ about our achievements so here is your opportunity to take out your most celebrated piece of writing and showcase it again for us all to admire! This carnival is simply the best of the best! It is not a particularly momentous post but it keeps getting visitors and comments! I will start this post by thanking my students for having inspired me to write it, and I would like especially to thank Gisela for being so generous as to share pieces of her life with us every class. This article covers the 10 most common questions that I have received from English language learners including grammar points and strategies for learning English. I admit it. I’m a slacker with regards to actively participating in Shelly Terrell’ #30goals. It’s certainly not because I think they aren’t worth my time or not applicable to my teaching, but for one reason or another, they’ve been put on the sidelines this February, along with active blogging and commenting on others’ blogs. This is far and away the most popular post on my blog, largely thanks to Ann Foreman and the British Council Teaching English facebook group. thanks Ann! My second blog is designed to crowdsource ideas for how to use different ‘prompts’ in class. Post-it notes have proved the most popular. Can you add any other ideas? We’ve just finished a class project which involved 12-year-old Middle School students. I thought my most popular post was going to be the one on Word Clouds, but, no, it looks like teachers have searched for and read different posts most. The Power of Play for Education and Language Development is the one. Here’s a new challenge for teachers out there interested in trying things out and sharing the results! If you would like to heighten your students’ cultural awareness, consider Opening your classroom door to the world. I have written many times that I really enjoy using songs in the classroom. I know how effective these real songs can be. I thought it was time for another list of Websites Of The Year. This series of “The Best of…” posts will be continuing off-and-on until I run out of useful topics. Although this is a post I’ve put up fairly recently, it has become very popular in a very short period. I’m guessing, because apart from it being fun, it gives teachers – and maybe teacher trainers too – ideas about exploiting rap songs in teaching EFL. A practical guide to build your own personal learning network (PLN). In case you didn´t know, I´m an avid tweeter, especially for Professional Development and networking with colleagues all over the world. I love using adverts in my teaching. If you ignore the fact that they’re trying to flog you something and focus on their narrative structure, they can provide you with an endless supply of mini-stories for “retelling” activities. what a great choice for a blog carnival -so easy to choose – just let the stats do it for you 😉 and nice to look back at an old forgotten post and all its comments too. I can still remember that day as if it were yesterday. It was my first day at a new school and my first year as an elementary teacher. My lifetime dream was coming true. So special was this day that everything around me was inspiring. Teachers should share their enthusiasm with students. In the process of learning, there are numerous things that play a significant role towards making it a smooth, pleasurable and constructive process. ….this course took place in a computer room with 1 Internet connected computer per teacher. What follows below is a brief outline of the tools I used to achieve this and how I used each tool. Shelly Terrell’s interview just managed to edge Chia Suan Chong’s by a few visits. Not an article as such, but it’s proven to be rather popular. My most popular post is actually a lesson plan for a restaurant role play. I guess it’s so popular because I tried to include a lot of materials like specific role cards and even notes for the waiter to make the role play as realistic and also as adaptable as possible. I’m also fairly proud of my restaurant discussion questions which focus on problems at restaurants, something fairly common that isn’t always covered in textbooks. Should teachers be encouraging the use of ?English? names in our classrooms? Because using ‘English’ names as a replacement to a child’s name really, really bothers me. This is a blog focusing on the Common Core State Standards as a way to drive ELL curriculum. One of my more popular posts on my teachers’ blog, based on my love of old movies. This lesson idea proved a hit, with 1,300 views! Still amazed it struck a chord with so many! My most successful post in terms of comments, hits, retweets, you name it! 7 most commonly made mistakes made by English teachers working overseas such as over-emphasizing pronunciation rather than communication, overdoing the grammar and missing home too much! Helpful tips to prevent English teachers who venture abroad from falling into these traps. Anne Hodgson posted a quick pic post yesterday and its humor got the ball rolling on a fun idea. We sent a few tweets back and forth and decided to challenge you to choose two photos to “compare and contrast” something similar but different. In Teaching English Language Learners Across the Content Areas (ASCD, 2010), Debbie Zacarian and I listed seven teaching strategies for mainstream teachers of ELLs. This post is about the current economic situation of Brazil, part of the BRIC, and a very interesting ad done by Johnnie Walker. This post let to great discussions about the current economic situation in some countries from my PLN. This post has been one of the most popular ones I have ever written and it is also one of my favourites. The 26th edition of EFL/ESL/ELL Blog Carnival will be held on January 1st 2012 and hosted by David Deubelbeiss – use the submission form to submit your entries. The Carnival welcomes any blog posts, including examples of student work, that are related to teaching or learning English. You can contribute a post to it by using this easy submission form. If the form does not work for some reason, you can send the link to Larry Ferlazzo via his Contact Form. Let Larry Ferlazzo know if you might be interested in hosting future editions. You can see all the previous editions of the ESL/EFL/ELL Blog Carnival here. I’ve just been helping my 11 year-old daughter prepare for an end of term French test. I was ironing and she was at her books. We practised some short dialogues about the weather, transport, time etc.. did some drilling on pronunciation, new words and word order and then the usual recitation of irregular verbs. Two weeks ago another daughter took her GCSE French oral exam. This was a little more involved, we practised dialogues on given topics and I sent her a couple of questions in French during the day as text messages and she responded. Our big area of grammar was tenses. My reason for describing this is not to give you an insight into domestic bliss in our household or to boast about my dedication to my children’s education. In fact I have two older daughters, now working, neither of whom speak any language other than English (cobblers’ children and all that). No, in fact it got me thinking about language exams and approaches to language exams and what activities might be most productive when facing a language exam. I’d like to explore first what language exams are. In my opinion, they are simply benchmarks showing staging posts along a journey of developing and enhancing skills. They show that at some stage a particular level of skill was reached. That doesn’t mean to say that someone is still able to demonstrate that level and herein lies the rub! Skills can get rusty if you don’t keep practising them. I don’t see a language as an academic pursuit (the literature and other studies around language such as linguistics, philology etc.. are excluded here). To me it is akin to learning to drive, or playing a musical instrument or even achieving a certain level of physical fitness. Language development starts small and then grows. See how any baby develops language and you will see this. It is ‘additive’ in its nature. You cannot enter at Upper Intermediate level and expect to perform well (let me know if this has happened!). We start with a foundation (however you choose to learn) and then build on this. The more you build the better you get just the like the more you drive the better you become. OK so how is this important for exams? It is important because language exams in my opinion need a different approach – I don’t believe you can ‘revise’ for a language exam in the same way that you would revise for a history or a medical exam. You need to practise for a language exam and the more practice you get the better you will be. OK this is trite stuff you may think – it’s obvious. If so, then why do I see time and time again students going over and over practice tests instead of getting out and about in the language! Practice tests are more about exam technique than they are about language proficiency. Why do students have a slot in their revision timetable for ‘English’/’French’/’German’ revision? Why do my students, when I return their corrected writing to them, put it carefully in their folders where it never sees the light of day again and why am I told when I set about the present perfect tense for the umpteenth time, ‘we’ve already learned this!’ – been there, done that. The truth is you need to keep going there and doing that and each time you do, push your usage a bit further forwards. If you are guilty of some of these then take heed – you could be making the process far more difficult than it needs to be! Don’t leave your exam preparation until the last minute – make sure you go over areas that you are not sure about immediately after your lesson/online session. Make sure you do something each day (it’s like learning the piano or improving your fitness level – 10 minutes per day is better than 30 minutes once a week). Try something like Gapfillers word of the day or daily practice. Be critical of yourself – don’t accept mediocre, if you are not sure ask or test it out. Jump in and try using phrases, words and new grammar the feedback will tell you if you’re on the right track – best to find out now before you use it in your exam! Use the internet – no excuses now for not having enough exposure. Listen to videos on your favourite subjects (that way you’ll be involved in something you enjoy too). Read, watch, listen, find grammar and vocabulary exercises – bookmark the ones you find useful so you can come back again. Make sure you are a bit better than the exam requires you to be that way you’ll be more relaxed when you take it. With as much exposure to and practice in the language as possible and an approach to your study that is both systematic and enjoyable, you should pass the exam with flying colours! In my last 2 posts on IELTS I looked at ways in which you could improve your overall English language performance and more specifically Reading and Writing in preparation for the IELTS examination. Now I want to turn attention to the Speaking and Listening tasks on the exam. As with reading and writing, these two skills are linked. You can use language from your listening practice to help with your speaking. The more you practice the speaking the more you will be able to pick up on the listening. Can you share examples of issues you have with either of these skills? How have you been preparing for these papers? If you have any suggestions, questions or problems then please share them. Whenever you are listening to English if you find useful expressions and words write them down so that you can use them in your speaking. Don’t restrict your practice to text books, IELTS or otherwise ,what you really need is exposure to authentic language. Eavesdropping on other people’s conversations (preferably people you don’t know, on the bus etc.. or use the internet) can be very useful – but make sure you do it surreptitiously! Try to listen to a range of different topics and types of speaking (groups, interviews, talks etc..) this will help you with the different listening types in the exam and also give you information about topics for the speaking. The thing you MUST do in the listening (and speaking) papers is concentrate. It is very easy to allow your mind to wander and drift away and thus miss an answer or main point. Prepare ‘markers’ by going through the questions for the listening very carefully and underline keywords. Use the information in the questions to anticipate what the content of the listening will be. The keywords will help you locate the answers. Listening for the keywords you have underlined will also tell you if you have missed a question. Use the time given between tasks to prepare the next section – don’t go over questions you have missed! Still don’t know? Then guess; you won’t lose anything and you might be right! During your practice don’t make everything a timed exercise. If you are good at spotting the correct answers you can easily practice speeding up the process. The important thing is to make sure your listening skills are good. Believe me even the most advanced students often produce bizarre answers which, when they consider with common sense, couldn’t possibly be right – skills first, speed later!! Top Tip: use both common sense and instinct in selecting the answers – don’t spend too long making your choice. The speaking test is completely under your control. The examiner will give you the topics and guidelines but you will drive the test. Make sure you know what is expected – it isn’t just a chat. Your preparation for the other papers should give you a wide range of topics with plenty of ideas and information that you can use in potential speaking topics. Remember speed does not = fluency. Speak clearly and as accurately as you can you don’t need to rush (I am a native speaker but I speak quite slowly). We don’t learn about these topics in my country isn’t a good excuse, you’re expected to have read about them in English – use the internet and read the news sites regularly. As with your writing, give evidence for your statements and back this up with examples. Your answers need to be ’rounded’. Go through lists of possible topics and ask yourself – Can I talk about this? If not then find out about it. Practice is the key with everything and get as much exposure as you can. Find people you can practise with. Give each other feedback. Read this case-study about one of my students and how he improved his speaking skills. Top Tip: become an ‘English’ chatterbox! So, preparation is the key element in improving your IELTS scores along with making sure that you concentrate on your language skills and not just the test!